Well, this is certainly going to be a ton of work. 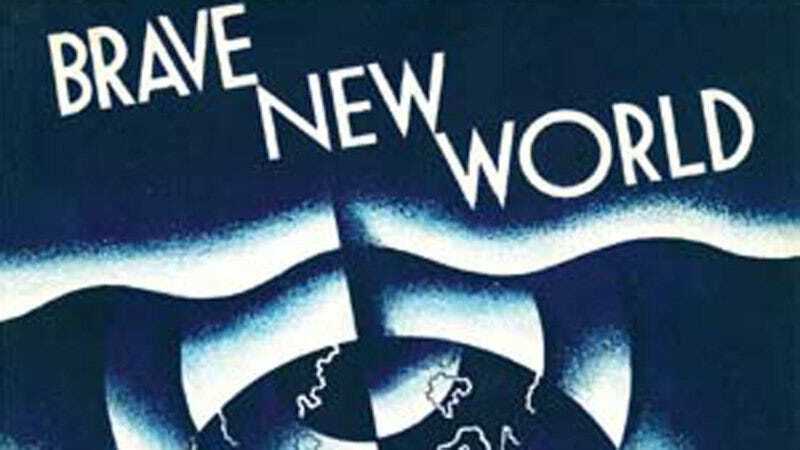 Syfy’s announced that Bryan Taylor (Crank) and Grant Morrison (of being Grant Morrison) are adapting Aldous Huxley’s classic Brave New World for Syfy. We heard that Syfy and Amblin were working on this last year, but now we know who’s going to be writing and executive producing the show. And Morrison and Taylor are certainly people with vision. Syfy doesn’t say whether this is going to be a ongoing series or a miniseries, but, even with these two on board, this is going to be an uphill go of it. Brave New World is a near-perfect example of the “false utopia” trope that science fiction has been in love with for decades. It also takes place in 2540, which is far enough in the future that Syfy is going to have to work hard to make it look “futuristic,” while also updating the things in Huxley’s novel that were scary future-tech when he wrote it but aren’t as far off (or as scary) now. Best of luck, Syfy. We’re so glad to see the channel be ambitious like this. Put this next to The Expanse and it’ll be a great night of television.